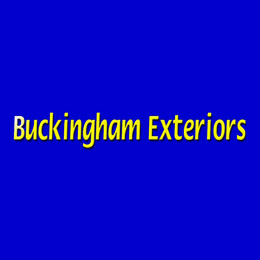 Buckingham Exteriors, Roofing & Siding, Inc.
"Thank you for making this repair work so easy on me. You have made what wouldhave been extremely difficult a pleasure. Your timeliness, communication, and qualitywork will make referring you to others automatic. "-Ann W.University City"We first called Buckingham Exteriors a few years ago to replace some shingles damaged by hail. Then in 2013 the entire roof needed replacing when a wind storm caused major damage. We called Buckingham again, and they immediately sent a crew to perform temporary repairs to patch leaks. After meeting insurance requirements, we hired Buckingham to replace the entire roof. Our roof has some odd angles, but the roofers paid careful attention to details. In the time since Buckingham finished the work we have had no problems and the roof looks great!"-SteveSt. Louis"The end of June I had the shingles on my roof removed and replaced by Buckingham Exteriors. The complete experience was very pleasant. Jeff Pursley of Buckingham Exteriors provided a detailed estimate which was lower than four other estimates I received. All five businesses had A+ ratings on Angie&apos;s list and high ratings with BBB. My roof was covered with a double layer of shingles which were removed with very little debris outside the dumpster. What did fall outside the dumpster was thoroughly cleaned. They ran a magnetized roller around the yard several times. I have found no roofing nails or shingle pieces after several mowings and landscape cultivating. I had 43 squares of shingles replaced all in one day, only because they were able to put two crews on my job that day. I am sure one crew could have done the job in two days. The crews were very professional, courteous, and only took a break for lunch. I highly recommend Jeff Pursley and Buckingham Exteriors for your roofing needs. "-Bruce P.
Reviews for Buckingham Exteriors, Roofing & Siding, Inc.